All other weekend events will be subject to space availability. Individual events and ticket pricing will be posted soon. DUE TO LIMITED SEATING & ADVANCE PREPARATIONS, All TICKETS ARE NON-REFUNDABLE. With our theme of The Great American Road Trip – we thought about what folks in other countries think of as American food and the answers are steak and BBQ. So, with our love of all things beef, we are highlighting both of these quintessential American cuisines. Come experience the famous living room at the grand Fess Parker Wine Country Inn in Los Olivos, California and when that happens in Buffalo Gap, it is called – Buff-Olivos Lounge! Come out as we recreated the infamous evening spent with Fess Parker wines, fabulous hors d’ oeuvres and special friends (and a little singing to). Join the Parker family and Chef John Cox for a celebration of 30 years of winemaking. This relaxed gathering will feature a curated selection of Fess Parker wines, including select older vintages, all paired perfectly with appetizers from the culinary mind of Chef Cox. The Great American Steakhouse Experience will focus on dishes that are famous to the great steakhouses across the United States. With inspiration from New York City to Chicago to Buffalo Gap, great steakhouses are a true American experience. Starting with the ambience, cocktails, and a little romantic dance music, then to the seafood dishes, and of course, steaks, we are excited to bring this experience to life in the tent. And, naturally, each course is paired with truly American wines! Longtime friend and known across the world, Master Sommelier Guy Stout walks us through the vineyards of the United States. These New World wines might have roots in Old World countries, but the wines are amazing and the journey is exciting. Learn how grapes are grown in diverse climates, marketed differently to regional and national audiences, and taste the great results of this hard work. How did it happen that pitmasters are rock stars? Pitmasters winning James Beard Awards as best chefs in the country? What is this phenomenon and how did it happen? Take a walk around Perini Ranch and sample the famous BBQ’s of the country. Sit down with the pitmasters and find out what motivates and inspires them, and why are Americans and visitors alike standing in line across our great country for BBQ? Dine under the West Texas stars as you sample some of the regions’ finest cuisine from some of today’s hottest chefs. Sip on perfectly paired wines, handpicked from some of the best wineries and vineyards across the country, while listening to live music that will for sure get you out on the dance floor. This year, Sunday morning is an event! There’s no better conclusion to the 15th annual Buffalo Gap Wine & Food Summit than fried chicken and all the trimmings, a full gospel choir and an “all out” Bloody Mary Bar. There are many surprises in store at this brunch, be sure to be here! 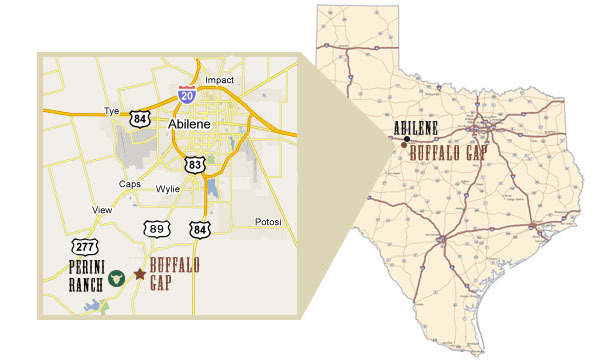 The Buffalo Gap Wine & Food Summit is held at Perini Ranch in Buffalo Gap, Texas. Click here for directions. Shuttle transportation provided at the Hilton Garden Inn on Friday and Saturday nights, provided by the Buffalo Gap Wine & Food Summit, Inc.